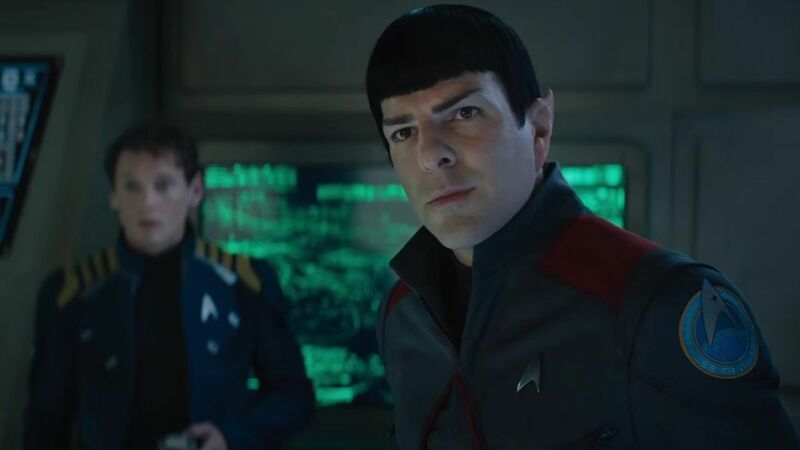 While the first trailer may not have pleased all fans (and even star and co-writer Simon Pegg, who promises there is more to it than huge action scene and Kirk riding a motorcycle), Star Trek Beyond is coming our way this Summer just in time for the beloved franchise’s fiftieth anniversary. Just some of how the movie will celebrate that monumental milestone is shown in a new behind the scenes video from Entertainment Toninght which unveils the new retro style uniforms the crew will wear as a nod to the original series. We also get a close up look at the new, redesigned Enterprise, as well finding out the lengths the production went to stamp out script leaks, which consisted of each cast members copy of the script containing individualised spelling mistakes which made it easier to track each copy to its source.